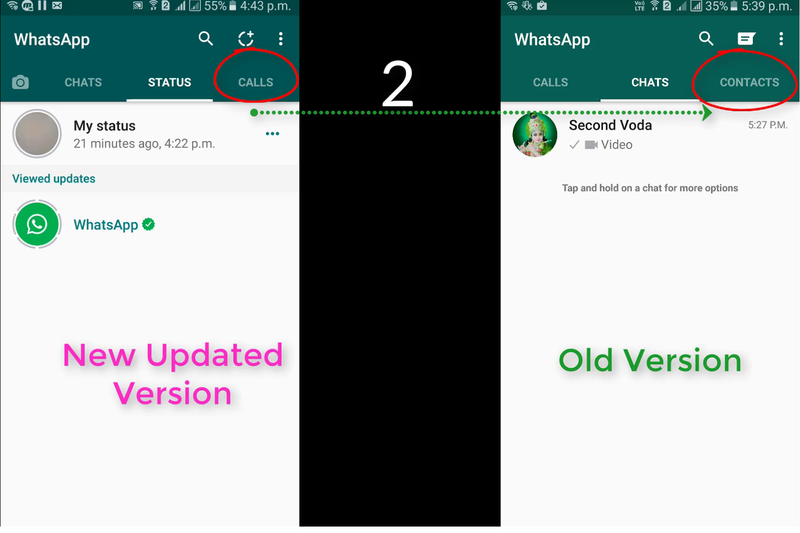 Whatsapp has recently launched a new update in which many effective changes have been made. 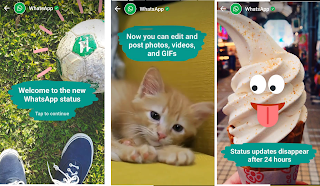 The main concern of this update is for “Status update” feature, which is now like “Snapchat” app. 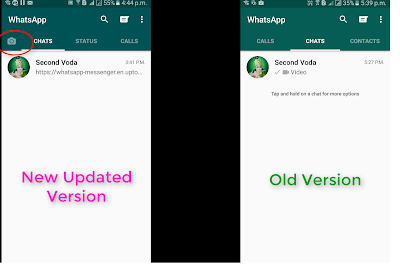 Alongwith this update, there are various updates like: Status Privacy, Increase the No. of files Selected for sharing anyone etc. 1. Whatsapp New “Status Update” Feature : Now you can edit and post Photos, Videos & Gif’s on your Status. One thing, which seems to be annoying is that your status will automatically disappear in 24 hours. 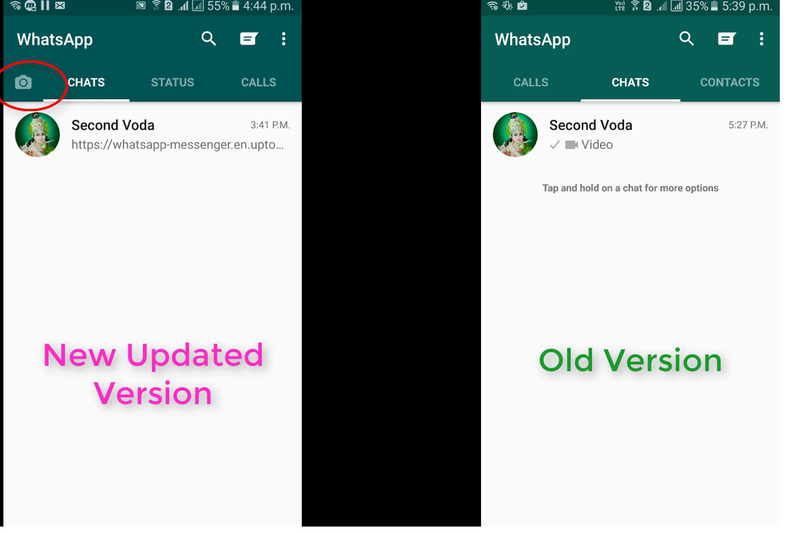 It means you have to daily have to update your status. 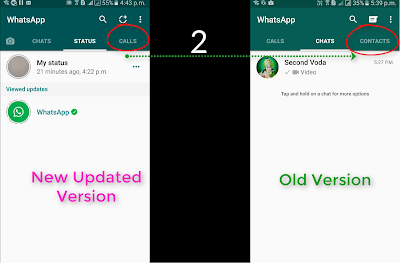 2.“Contact” option is removed from the opening page of whatsapp, which will create some problem to it’s user. 3. 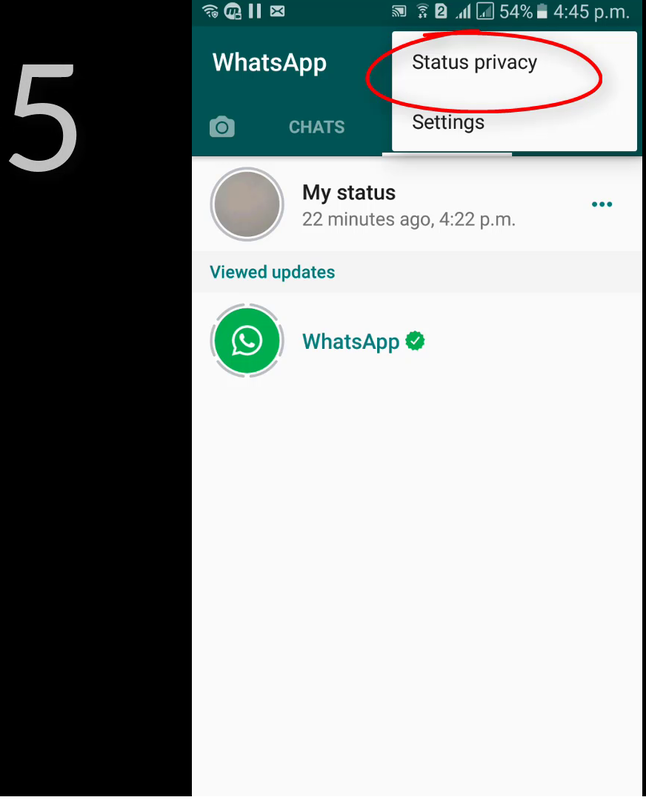 “Camera Icon” has been added as shown on the first screen, to take phots, videos, to share the same with friends or may use to update your status. 5. “Status Privacy” Feature has also been added, using this feature, you can select, to whom your “Status” will be shown or Who will be able to see/watch your status. 6. 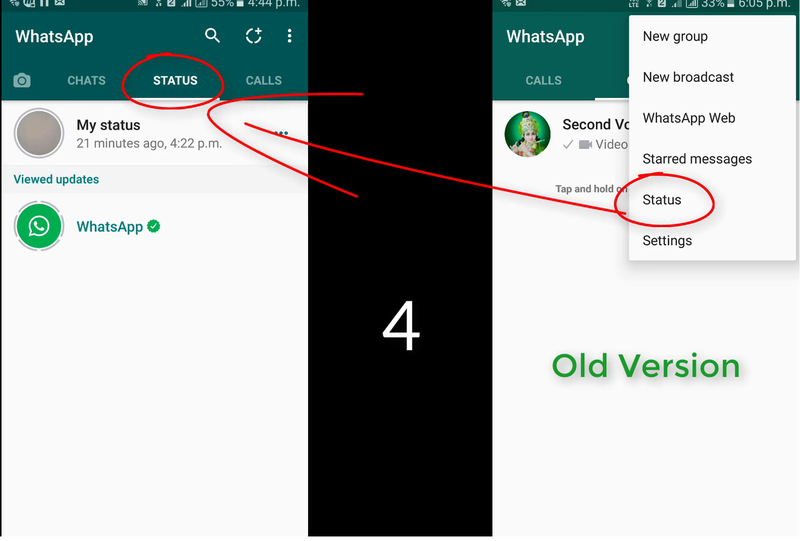 In earlier version of Whatsapp, you can share files up to 10 Nos., which in the new version has been updated to “30 Nos.”.